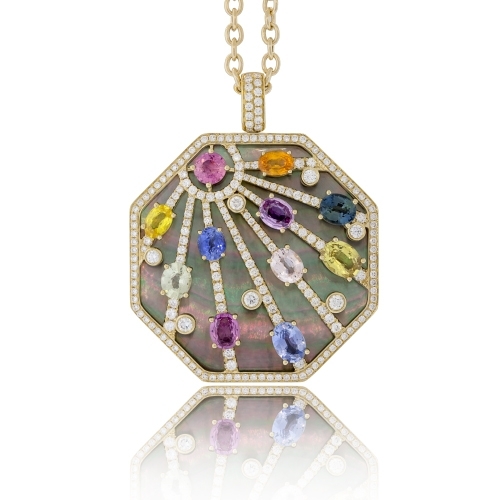 Open pendant with mother-of-pearl background and diamond stripes boasting fancy, prong set, colored sapphires set in 18k rose gold. Diamonds approx. 2.43ct. Pendant 2".